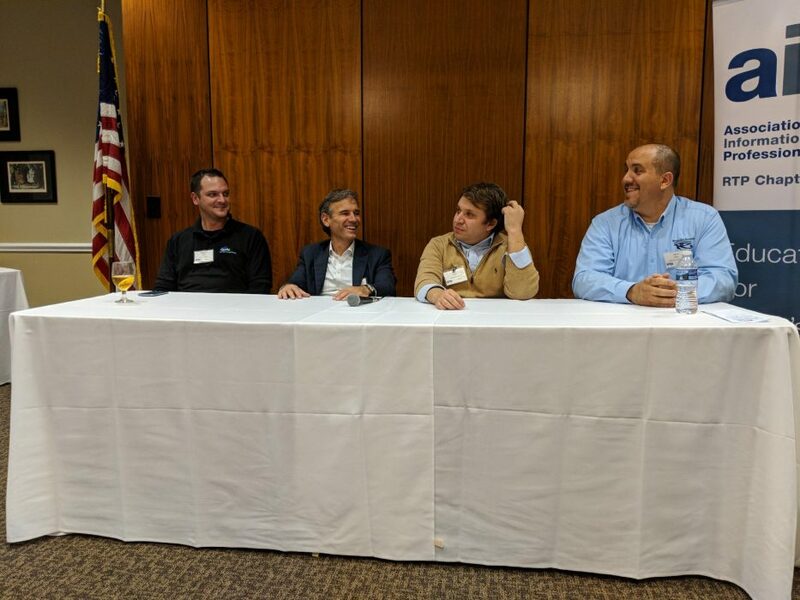 Bridgera’s SVP of Sales and Marketing, Ron Pascuzzi, participated in a panel discussion about Smart Machines and the Internet of Things. The panel was organized by the RTP Association of IT Professionals as an educational discussion on how Smart Machine devices and systems integrate with IT systems. The panel was moderated by Michael Wayne, VP Business Development of Qualia Networks. In addition to Ron, the panelists included Jake Vestal, Founder of Vestal Industries, and Jason Nagy, CEO of J&M Security Solutions.